For hundreds of years picture books have been used to teach children, and adults, many things about the world. In today’s modern society, online picture books can be used to teach the same things that paper picture books have in the past. This article discusses the many things that online picture books can teach people. Even before entering kindergarten, one of the very first things many children learn from picture books is the alphabet. They are able to see the words on a page and realize they are made up of letters. There are also many picture books that specifically teach children about the letters of the alphabet. Online picture books can teach children about the letters of the alphabet just like regular picture books can. There is a great website, https://www.surfnetkids.com/early/books/, which has some wonderful old picture books that can help teach children about the alphabet. The online picture books contained on this site teach more than just the letters of the alphabet. For example, The Royal Picture Alphabet also teaches some fun life lessons that go along with each letter of the alphabet. 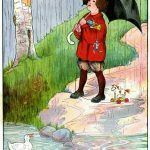 Mother Goose and her nursery rhymes are a great way for children to learn about rhyming. 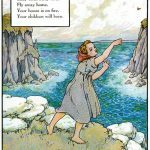 On https://www.surfnetkids.com/early/books/ there are several picture books which contain Mother Goose’s rhymes. These books are beautifully illustrated as well. Kids can use these picture books to learn how words sound and how they can use words to learn how to write their own poems. Of course one of the best things that online picture books can do is be an aid when teaching children how to read. These days, children are always online so introducing a child to reading picture books online can be a great way to get and keep them interested in reading. Using the website, https://www.surfnetkids.com/early/books/ to learn to read from the picture books, allows children to turn the pages with a click of the mouse. They can hear the page turn as well, which makes reading online picture books even more fun. Using online pictures books can teach children about animals. The online picture books found on https://www.surfnetkids.com/early/books/ show many different types of animals. Some of the stories are even specifically about animals. Children can learn the names of different animals that they may not see every day. They can also learn the sounds that different animals make. 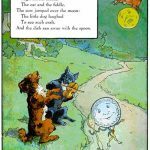 The online picture books that are found on https://www.surfnetkids.com/early/books/ have illustrations, and even some stories, that cannot be found in modern picture books. If it was not for these online picture books, children may never have the opportunity to learn about these stories and see the beautiful illustrations that possibly portray how some of their ancestors lived and dressed. Reading online picture books can help children learn how to write. They are able to see different styles of writing, from poems to short and concise stories. This can help them to learn how to use their words to create their own stories and poems. The online picture books found on the website https://www.surfnetkids.com/early/books/ can teach children how to use their imagination. Many children spend their time on the computer playing video games and chatting with friends. Reading good stories from online picture books, that can help a child see life in a different way, or imagine themselves in a different world or time period, can be a much better way for them to spend their time.